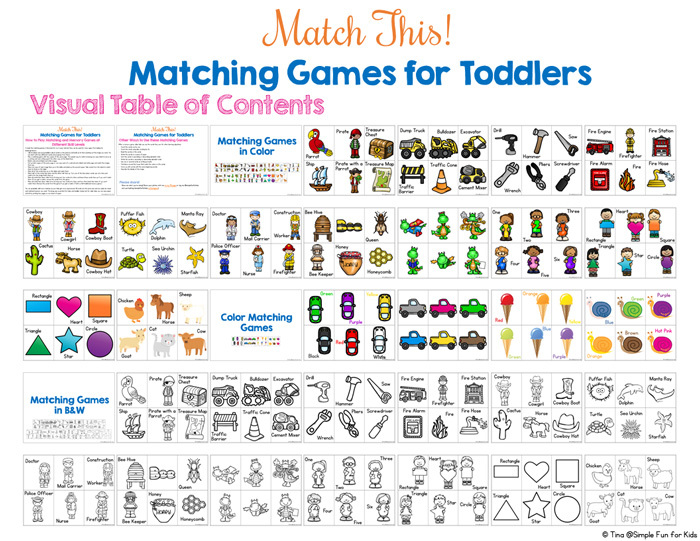 I have a bunch of free toddler matching games as well as a convenient ebook bundle of 30 exclusive games that aren’t available in any other way. 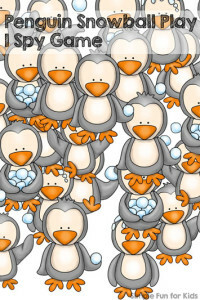 This is one of my “standard” toddler matching games (like in Match This! 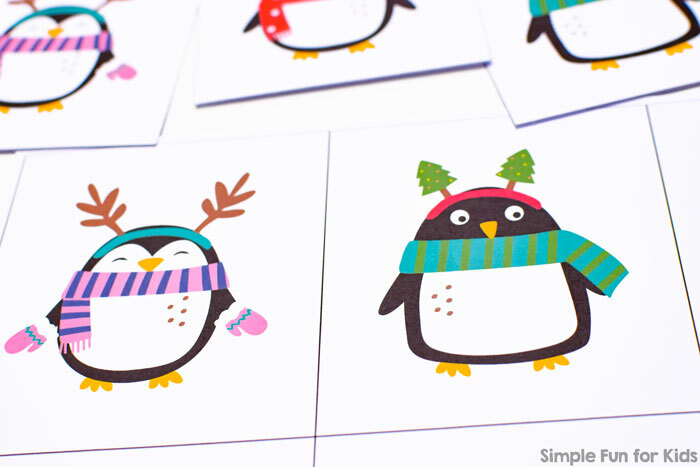 Matching Games for Toddlers) with six different images on large cards perfect for small toddler hands. 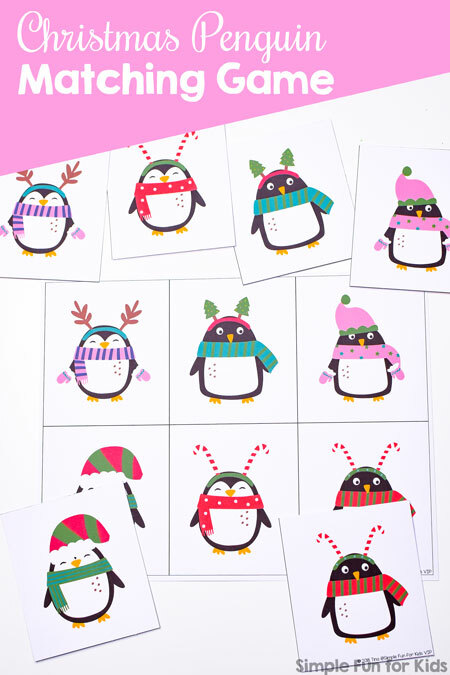 For more experienced matching game players, you can mix and match different matching games for a greater challenge. 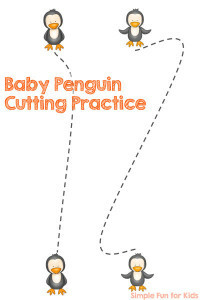 Print two copies of the matching cards (or an even number of copies of this and other matching games), laminate if you want, and cut the cards apart at the black lines. 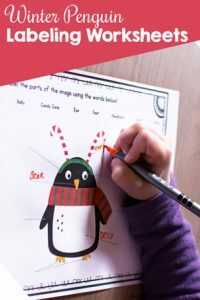 There are lots of different skill levels you can play at, from matching with all cards face up to full memory games with cards face down. 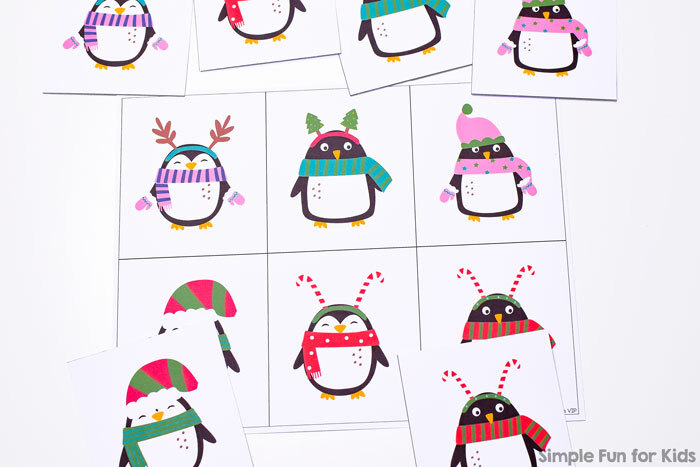 Download your Christmas Penguin Matching Game! 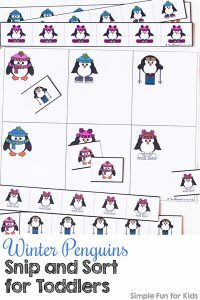 My Winter Penguin Labeling Worksheets use one of the penguins from the same set. 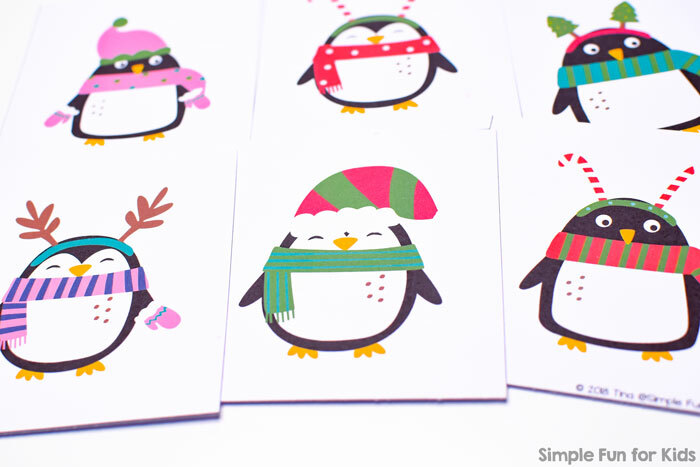 Are you looking for more penguin-related activities? I got you!